Friday, July 13th. | A.B.E. 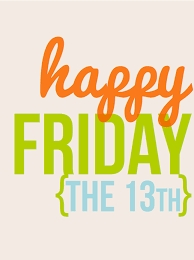 Remodeling, INC.
Hello and Greetings to friends near and far..
No need to fear the day…just because it is Friday the 13th. It's a beautiful July Friday here in the Lehigh Valley. The sun is out, the skies are blue, the trees and grass are dressed in their shades of green. And here & there you see splashes of flowers uniquely dressed in their gorgeous colors. So regardless of the number 13-the date of the day - it's just another day of blessings. Look around - breathe it in and at the end of the evening look to the sky and see the moon and stars reminding us once again that we all share this wonderful universe so….let's get back to the basics of life. Share love and kindness and respect to those we meet throughout our journeys. Be a light in someone's darkness. Life on earth is a blink of the eye when it's time to say good-bye. Be a blessing and be blessed. Enjoy your day and weekend.